The gallery is pleased to present from Saturday September 29, an exhibition of recent works by Peter Joseph, his third solo exhibition with the gallery. Peter Joseph was born in London in 1929. He was recognized, in the 70's, for his paintings, of simple and formally symmetrical forms in a color palette carefully studied, two colors, which place a rectangle in a frame of a darker shade. His works are characterized by perfect symmetry, where color and proportion can be perceived as an expression of time, mood or place. Subsequently, the two-size cut-out color paper shaped the pattern for paintings that Joseph worked for over 25 years. Its format has moved away from the "architecture" established to divide the canvas into two planes, horizontally or vertically. Looking at his new paintings we immediately think of Peter's affinity with the sky and the landscape, from his studio in Stroud where he lives and works, a small town in Gloucestershire, UK. There is henceforth a freedom in the composition, where the touch becomes both dynamic and flexible, leaving in many places unpainted areas, creating a new space, an emotion. "The painting is not just color. It's light and air that I try to put on the canvas, shade and light ... I try to paint the atmosphere, to paint the light itself. " Peter Joseph's works can be found in many international public collections: Tate Gallery and Arts Council of Great Britain, London, Zurich Kunsthaus, Stedelijk Museum, Amsterdam, Walker Art Gallery, Minneapolis, Fogg Art Museum, Philadelphia, Solomon R. Guggenheim Museum, New York. 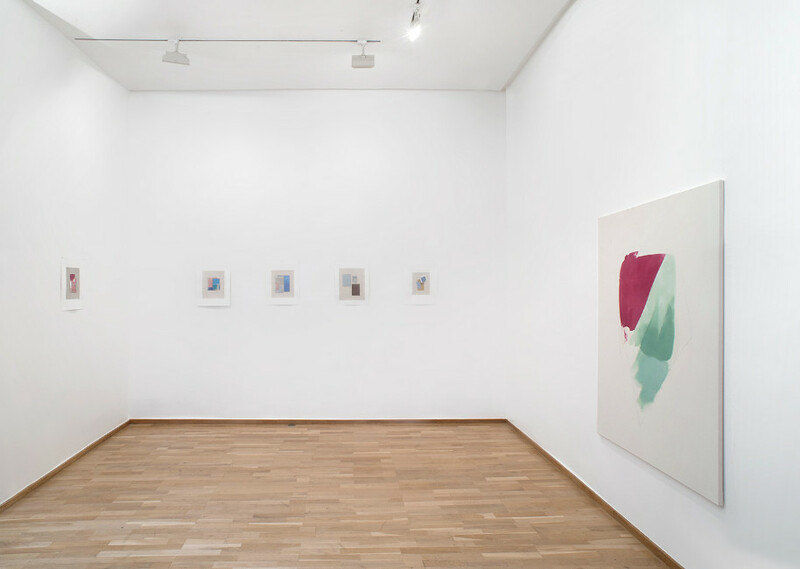 Among his most important solo exhibitions are those presented at the Hayward Gallery in London, the Chicago MoCA and the Museum of Modern Art in Oxford.